Register your unique cutlery number listed on your certificate and ensure it is unique, authentic and made of the best quality. TABLE NOIR creates unique design for the worlds leading restaurants – and you. At a star restaurant, everything is carefully arranged, so your dining experience will be excellent. The food is center of attention, but everything from the wall color to the tablesetting plays its unique role in setting the mood and sharpen the senses to fully enjoy a wonderfull evening. TABLE NOIR is proud to be part of all this when we design and produce tableware for some of the world's leading restaurants. Tableware that compliments the experience both aesthetically and functionally – designed and tailor-made for each restaurant. A piece of unique design that raises the dinning experience to something truly special. 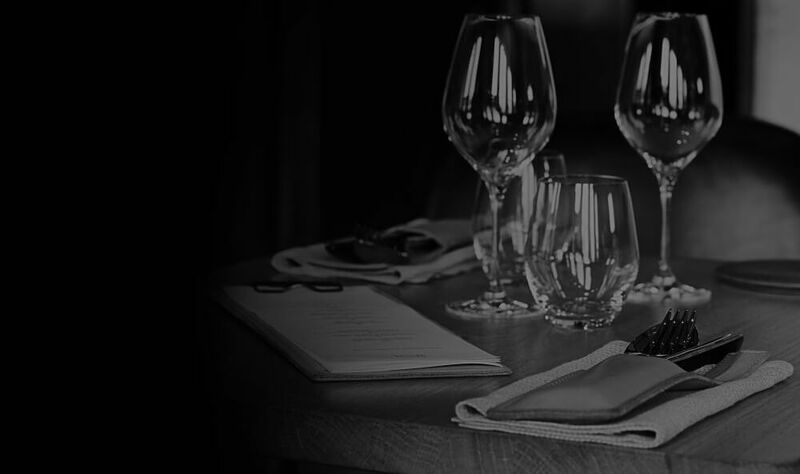 It is an expensive and demanding process to develop first class tableware, and TABLE NOIR only invite a few star restaurants each year to get their own unique tableware designed and produced by us. So when you see, a restaurant with their own TABLE NOIR tableware, you can be sure the restaurant is quite special. Set your table like a star restaurant. When the world-famous Michelin Guide bestow a star – or more – on a restaurant, it is because everything is executed to perfection – in every detail. 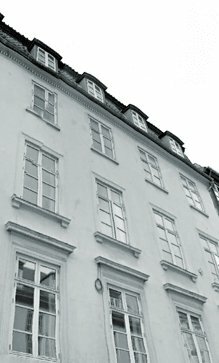 Just like at Copenhagen’s Michelin-starred 108. Here our cutlery, TABLE NOIR designed for 108, is an integral part of the experience. A set of unique cutlery you can now own. It took us more than a year to create this perfect set of cutlery – and we did it in close cooperation with the Kitchen Chef, Restaurant Manager, Sommelier and the General Manager at 108. The result is a set of cutlery that enable 108's ambition to create a focused and undisturbed dining experience. 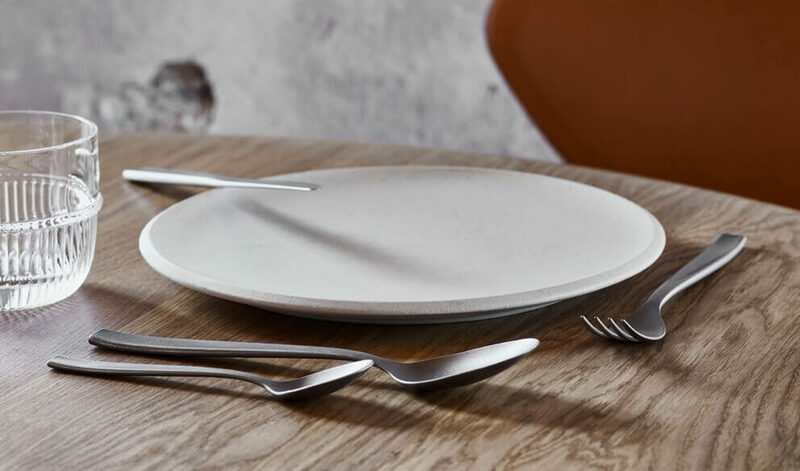 The Table Noir cutlery is tailor-made for 108 in Matte steel and is a beautiful minimalistic cutlery were the aesthetics and the function goes hand in hand. Would you like to set your table at home like on Michelin-Restaurant 108 you can order the TABLE NOIR cutlery in the exclusive black (NOIR) og BRILLIANT finish. Table Noir designed for Michelin-Restaurant 108 in the exclusive NOIR variant (Black Matt) has a silky black finish that reflects the desire for understated exclusivity - an echo of the Nordic kitchen's natural palette of colours. The 108 cutlery in the NOIR variant is produced in 18/10 stainless steel with Black PVD finish and is dishwasher safe. The Cutlery is produced in the absolut best quality, steel material, polishing and even the coating so it will be with you for many years to come. Table Noir cutlery designed for Michelin-Restaurant 108 in the exclusive BRILLIANT Variant has a brightly polished steel finish and is an elegant play with the contrast between a simple understated design and a luxuriously shiny finish. The 108 cutlery in the exclusive Brilliant variant is produced in 18/10 stainless steel with a mirror polished finish that shines like a brilliant and is dishwasher safe. At Strandgade in Copenhagen is 108. A restaurant that was awarded one of Michelin's stars just seven months after opening its doors to the first guests. 108 wants to create an atmosphere of undisturbed tranquillity around the carefully prepared meal that their guests are enjoying. Therefore, the unique TABLE NOIR designed for 108 is designed so that 108 can set the table with a complete set of cutlery for the whole meal before the guests arrive at the table. In a rustique leather case lies three knives, three forks and two spoons. Thus, fully equipped with cutlery there will be no reason for disturbing guests inbetween the dishes. So much cutlery would normally take up a lot of space on a table. So, to save that precious space, TABLE NOIR developed a completely unique detail that allows the spoon to simply ‘spoon’ with the fork. The little detail that allows the two pieces of cutlery to unite is almost invisible, but it took 6 months to develop and is an eminent example that Table Noir will never compromise to achieve the perfect. The love for subtle detailing is repeated in the design of the knife. Based on "less is more", it’s simple form derives from just three lines – one straight and two curves. One curve follows the knife’s blade. The other creates the gentle softness of the shaft. The two curves are perfectly joined and perceived by the eye as one harmonious course. The single straight line draws the back of the knife. In addition, the knife feels surprisingly light in the hand, and the silky-smooth surface feels warm and friendly. Table Noir designed for 108 was created to be harmonious and to have the ease of simplicity to it. The TABLE NOIR cutlery designed for 108 is available in two exclusive finishes, as different as night and day. NOIR with a silky matte black finish reflects the desire for understated exclusivity - an echo of the Nordic kitchen's natural palette of colours. BRILLIANT in the brightly polished steel finish is an elegant play with the contrast between a simple understated design and a luxuriously shiny finish. The cutlery with NOIR finish is made with the absolute best steel quality (18/10) with a black PVD coating that makes the cutlery sturdy. PVD coating is a technique that ensures that even a coloured surface is robust and hard-wearing. PVD coating is a relatively expensive process, but the result is cutlery with a strong and durable surface that has high resistance to rust and daily cleaning in a dishwasher. The same durability is achieved in the BRILLIANT cutlery that as well is produced in the best quality stainless steel but has a luxury Shiny finish. Your Table Noir cutlery has a unique number that you can register on tablenoir.com and ensure it is unique, authentic and made of the best quality. Table Noir is a cutlery that feels just right. Made in the best quality so it will be with you for life. Do you have any questions give our customer service a call on 0045 42 46 31 81, and we will do our best to help you. Regardless of your order size, we will ship your order for free, anywhere within Europe.